You guys, I found a new love. 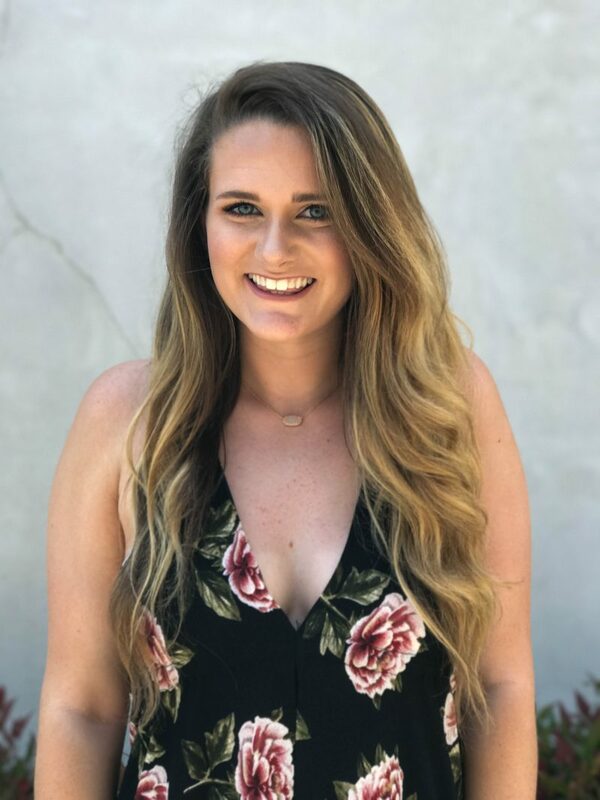 Shein – why haven’t I been shopping on this site?! I feel like I’ve been missing out for my whole online shopping career, but now that I know this glorious fashion secret, it might be dangerous! This site is perfect for someone like me. I have several nice (and not that nice) pieces that I’ve had forever but I can never see myself getting rid of and still continue to wear here and there or all the time but, I always find myself wanting to shop and buy new clothes but when you are constantly wanting to stay on trend that can be hard! Obviously, it’s not ideal to go on a little shopping spree like once a week but it’s nice when you find a company that you can buy several pieces on for the price of one thing from Free People. And don’t get me wrong, I love Free People but they aren’t the most affordable. 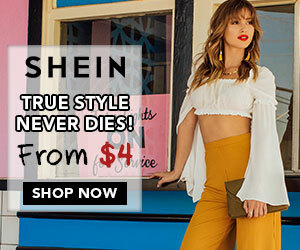 Ever since I have discovered Shein, I have been obsessed with shopping with them because I constantly find myself going to their site and trying to find new pieces that are on trend for a quarter of the price. I got six pieces, yes six, for $63. Like, what?! When I saw this harem, halter, jumper I knew I had to have it. 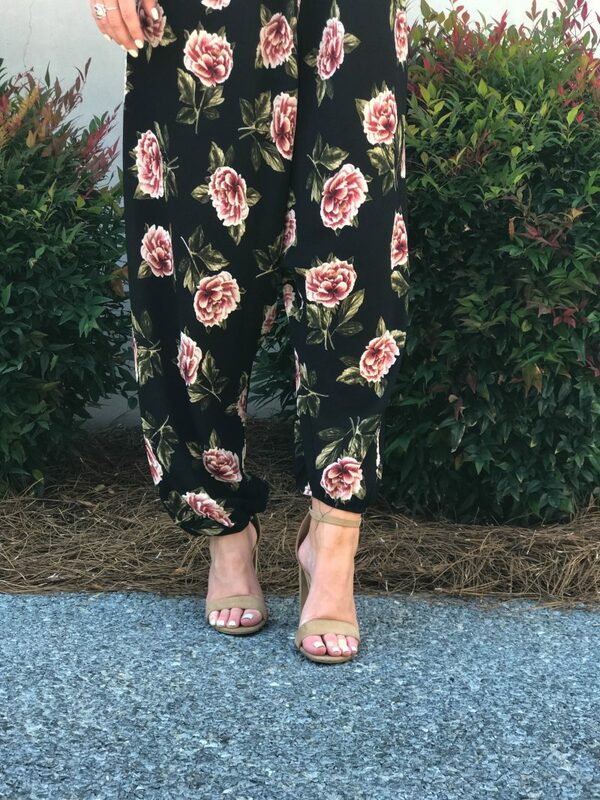 I’ve been so into this jumpsuit trend and this one was different than any other one that I’ve had. It’s thin but incredibly comfy. I love how lightweight it is and the way that I feel when I’m wearing it. You can either wear it like I have here for a day/night out or you can tie the halter tighter and pair it with a blazer and rock this in the office! That’s if you work in a place that isn’t super dressy (bless my job). Next, these shoes! I’m going to go ahead and apologize ahead of time for how much you will see me wearing these. I know own them in two colors and I just can’t stop wearing them. For someone who sits at a desk for the majority of the day, they’re perfect. I needed more dressy shoes that weren’t stilettos or pumps and there were just what I was looking for. The price is so reasonable, the quality is great, and you can wear them in so many ways. 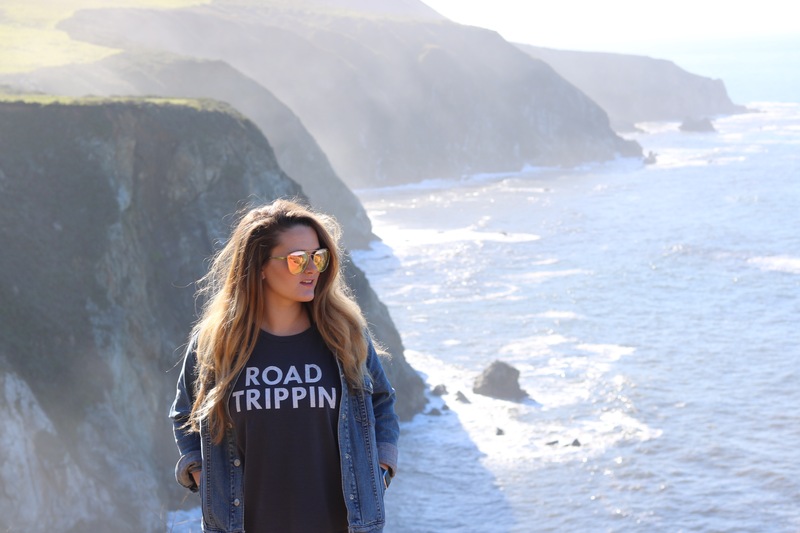 Whether you rock them with shorts, jeans, a dress, or a dressy work outfit – they just work. I can’t recommend them enough! Lastly, my new necklace!! For the longest time I’ve been wearing a 3-year-old broken (yes, broken) necklace almost every day. For days when my outfit has got a lot going on, or I’m just in a rush, I would throw on this necklace because it went with everything. Recently, I have been looking for the perfect, everyday, statement necklace. I’ve never owned a Kendra Scott necklace before but I’ve heard nothing but good things. I knew they were expensive and that’s what was holding me back, but then someone told me that during the month of your birthday you can receive 50% off of one item in store. That right there sold me! So, I went into the store and immediately found this. Ever since I bought it, I haven’t taken it off. I’ve paired it with every outfit and I just love it so much! I got the Elisa Rose Gold Pendant Necklace in Iridescent Drusy. I know, $65 is a lot for a necklace when you’re on a budget and you can just go to Forever 21 and buy something cheap. And trust me, I do that often. But when you’re looking for a piece to wear every day and invest in, it’s worth a little splurge. I spent around $35 after my birthday discount and now I can definitely see why this brand is worth investing in!